The thirty-one-month gap between the theatrical releases of 2011’s J. Edgar and this year’s Jersey Boys marked the longest such stretch in the forty-three-year-old directorial career of Clint Eastwood. Remarkably, only the layoff between 1977’s The Gauntlet and 1980’s Bronco Billy even really comes close. After what can only be described as a hiatus for the prolific director – during which time he returned to acting with 2012’s hokey Trouble with the Curve — Eastwood debuted his second film in less than five months at AFI Fest with American Sniper. Written for the screen by Jason Dean Hall (Paranoia) and based on the autobiography of the same name, American Sniper chronicles the life of US Navy SEAL Chris Kyle, from his upbringing in Texas through four tours of duty in the Iraq War. While the larger emphasis is on what happens on the battlefield, as it likely should be, Hall’s script wants its audience to understand why Kyle is who he is and why he does the things that he does. But what we’re given feels a bit like an outline, each scene serving a specific, identifiable purpose. Dramatic weight is undermined by the rapidity with which these occur, and hardly a supporting character feels fully formed — at least one seemingly important player drops out of the narrative completely. Even Kyle’s wife, played admirably by Sienna Miller, feels as if she appears on screen only so long as is necessary to further whatever piece of Kyle’s arc is being focused on. 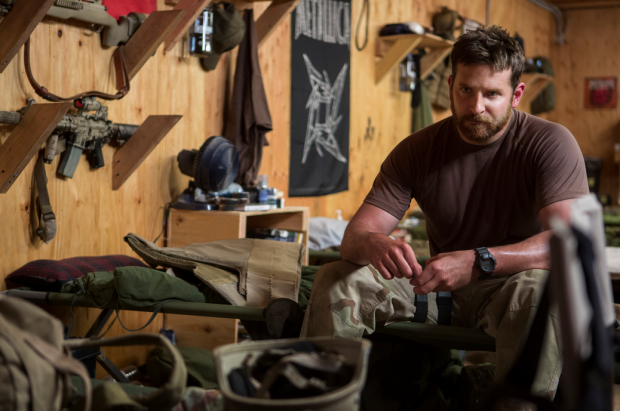 Bradley Cooper — who had been attached to the project as both producer and lead long before Eastwood was set to direct — gives a committed performance as Chris Kyle, his bulked-up frame, thick beard, and heavy Texas accent a distinct departure from what we’re usually used to seeing from the actor. It’s not long before Kyle’s reputation as a legendary figure takes center stage, a label Kyle is shown to embrace at times yet recoil from when it finds its way into his personal life. While we arrive at this moniker rather quickly — after Kyle racks up a few quick kills in a sequence that could have been pulled from any number of Call of Duty video games — Cooper’s largely restrained performance keeps the proceedings grounded, avoiding any unnecessary histrionics. Cooper’s believability here is key as the film’s finest moments come with rifle in hand. The major combat set pieces that are spread across Kyle’s four tours are American Sniper at its most assured and, without question, its most compelling, benefitting from Eastwood’s staging and the film’s production design. In isolation, these sequences are often as tense as one might have expected. Taken in context, however, they also feel less-than-cohesive. Perhaps there’s something to be said for keeping the audience in Kyle’s headspace, where the only thing of importance at any given moment is the identification and location of the next target, and perhaps this is why Hall’s script makes almost no attempt to explain its recurring plot points involving a Saudi sniper and the hunt for Al-Qaeda head Abu Musad al-Zarqawi, other than to acknowledge their existence. American Sniper is a cursory look at a life worthy of deeper exploration. Many will forgive the film’s narrative flaws, focusing instead on its capable combat sequences and Cooper’s performance. Those looking for something beyond convention, however, will be disappointed. 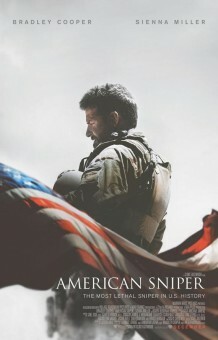 American Sniper premiered at AFI Fest and will open in limited release on December 25.